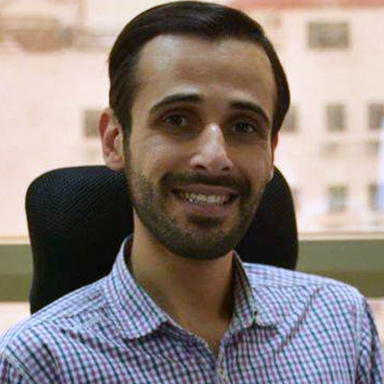 During Abdelrazzaq’s days as a university student, he always signed up for INJAZ programs. He heard about the Lazord Fellowship Program while attending the INJAZ programs and always had his mind set on applying to the fellowship. Upon graduation from his university, he applied to the fellowship and was accepted to the class of 2012-2013, and was placed at Partners–Jordan. During the fellowship program, INJAZ provided the fellows a series of trainings that positively affected both his social and practical life, which in return opened a huge door of opportunities for him. He is currently a project coordinator for communication and behavioral discrimination at The Jordan Communication Advocacy and Policy (JCAP) program, which is funded by USAID. He strongly advises his peers of the Lazord Fellowship Program from this year and the years to come, to make use of every day, hour and minute while in this program. He also advises the fellows to look for challenges and to face them, as he learned a lot from his first job experience.